Summer Activities Guide – 101 Things to Do – You’ve made it to Page 4 of the 101 Things to Do in Summer Guide for Central Florida. We hope you’ve gotten some great ideas of fun for the family, but here is the final page of ideas that we’ve uncovered for you! Feel like we’ve missed something awesome? Feel free to send it to us. Email it to at Brandi@MyCentralFloridaFamily.com. This guide is sponsored by the following organizations and events. Please look through them and click for more information. 76. Head to an Orlando City Soccer Game! 77. Two words-ZIP LINE! Tree Top Trek, Orlando Tree Trek, ZOOm Air Treetop Adventure Park, or Screamin’ Gator Zip Line are some of Central Florida’s favorite options. 78. Take karate classes at a dojo like Victory Martial Arts! 79. Check out Blue Man Group. 82. Head to an indoor game center like Dave and Buster’s (video review), Main Event, District Eat and Play and more. 83. Check out UltraZone in Ocoee for laser tag. 84. Go roller skating. Go roller or ice skating. Astro Skate and Fun Center, Semoran Skateway, Let’s Skate (video review), or Skate Reflections have some great options for you! Kids can skate for free (click here for details). 85. Go bowling. Kids bowl for free at Colonial Lanes in Orlando. Kids also bowl for free in Orlando (click here for details). Aloma Bowling Centers, Boardwalk Bowl, King’s Bowl, Main Event, Firkin & Kegler and Splitsville are some of our favorites! 86. Go ice skating at RDV Ice Den or Ice Factory. 87. Visit the library for an event or storytime. 88. Go trampoline at Rebounderz or Altitude Trampoline Park. 90. Take swim lessons or go swimming at Goldfish Swim School. 91. Have family photos taken. 92. Take a train ride through Orlando on SunRail! 93. Take a class at O2B Kids. 94. 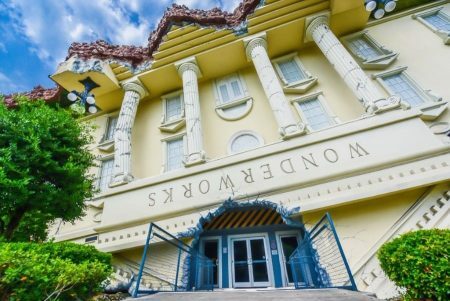 Visit The Florida Mall and check out stores like M& M World, American Girl, and Crayola Experience. 95. Visit an escape room! Check out The Escape Game Orlando. 96. Head to SAKS Comedy Lab for some big kid fun and laughter. Consider taking an IMPROV class! 97. Get a room for a night at an Orlando area hotel with an awesome pool! Enjoy the pools and resort style living for a 2 day excursion. 98. Go fishing with the kids. You can enjoy license free fishing June 8-9 (freshwater) and June 12 (saltwater). 99. Learn Spanish with All Kids Spanish. 100. Head to Jetty Park in Port Canaveral. Eat, play, go to the beach and hang out to watch the cruise ships depart around 4 or 5 PM. The kids love to wave goodbye as they go out to sea! And, you can catch some fish off the jetties. 101. Check out our Daily Calendar for events happening every single day over the summer. It’s a great way to find family fun! Enjoy every minute you spend together as a family. These years go quickly and they are incredibly precious. From simply laying in bed together and talking or watching a show together to enjoying meals together to getting out of the house for some fun, enjoy your summer! Disclaimer: This list of things to do in Central Florida is based on the opinions of the staff at My Central Florida Family. None of the organizations behind these options have paid to be on this list. 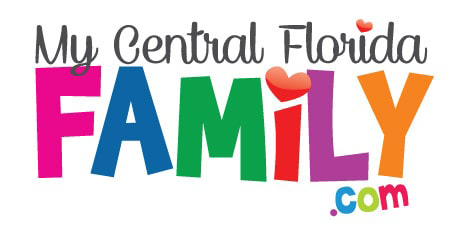 My Central Florida Family does not guarantee that any of these options are a good fit, fun or fulfilling for families based on individual family tastes, preferences, etc.